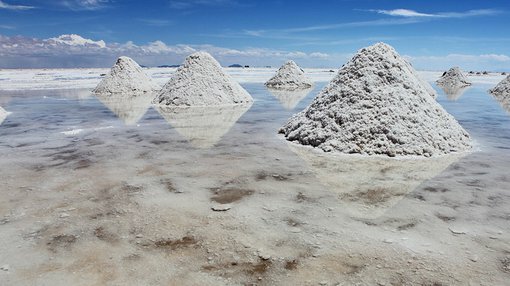 After lithium and cobalt: what comes next? With lithium and cobalt stocks grabbing the limelight over the past few years, investors are searching for the next commodity to deliver serious yields in 2017. Could it be manganese that is set to go on a bullish price run next? You may not have heard much about manganese, but it’s a metal you may be about to hear a whole lot more about in 2017. Often overlooked by investors, it could be the next metal to embark on a long rally in the same vein as lithium and cobalt over the past few years. Of course commodity prices do fluctuate and investors shouldn’t base their investment decisions on commodity prices alone. 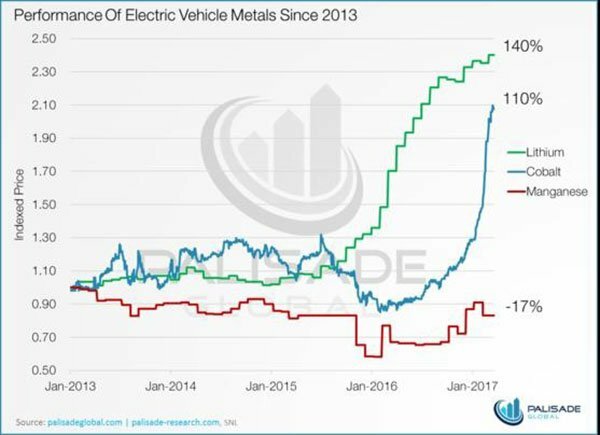 The ascent of this unassuming metal could be due to its (virtually unknown) relevance to the lithium ion batteries that power electric vehicles. If you are familiar with the battery revolution, you’ll also be aware of the role of lithium-ion batteries in off-the-grid power systems and other energy storage applications. In a volatile year for commodities, manganese has been a surprise packet in 2017. The metal has traditionally tracked iron ore prices, but a disconnect appears to have occurred with manganese performing strongly in the first quarter and remaining relatively resilient despite the iron ore price plunge. As we alluded to earlier, manganese demand is driven by dual forces. It has a well-established role in the traditional steel market, but it also plays a pivotal, if unexpected, part in the more cutting-edge off-the-grid power space – a factor, it seems, investors have largely missed thus far. With lithium and cobalt situated as the ‘poster boys’ of the battery metals market – fuelled heavily by Tesla, other EV car manufacturers including Toyota and Mercedes and electronics makers such as Samsung and Panasonic – manganese has been somewhat left behind. However, this might be set to change as it becomes clear that manganese also has a critical role to play in clean energy applications. Is manganese poised to become the next lithium? Manganese is an irreplaceable metal in steel production, serving the essential function of removing oxygen and sulphur when iron ore is converted into iron. Manganese is also used as an alloy that increases both the strength and flexibility of steel. 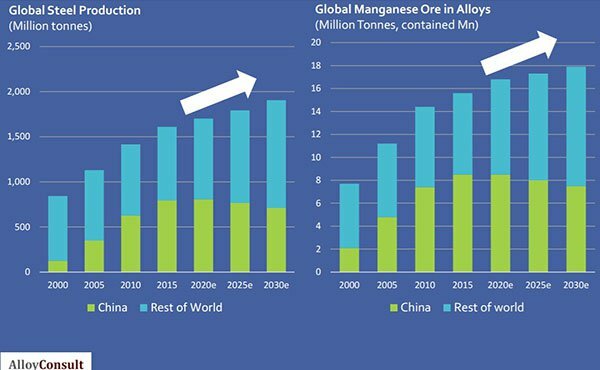 The steel industry is poised to continue growing, providing a steady source of demand for manganese. The US alone needs about 500,000 tons of manganese per year, the majority of which is consumed by the steel industry. But it is manganese’s less commonly realised application in clean energy that takes on fresh interest here, especially in relation to off-the-grid power storage — a market positioned to only increase in future. NiMH batteries provide the prevailing battery technology for hybrid vehicles, including the Toyota Prius. Li-ion batteries, whose centrality has been highlighted by Tesla, are important because they have a higher energy density — meaning the amount of energy they hold by weight or volume — than any other type. Interestingly, the lithiated manganese dioxide (LMD) battery is the most emergent technology to make use of manganese. LMDs are used to provide higher power output, thermal stability, and superior safety to regular lithium-ion batteries. Typically, an LMD battery uses 61% of manganese and a mere 4% of lithium. It’s clear manganese has a role to play in the growth of the new energy sector – but could it be more important than first thought?